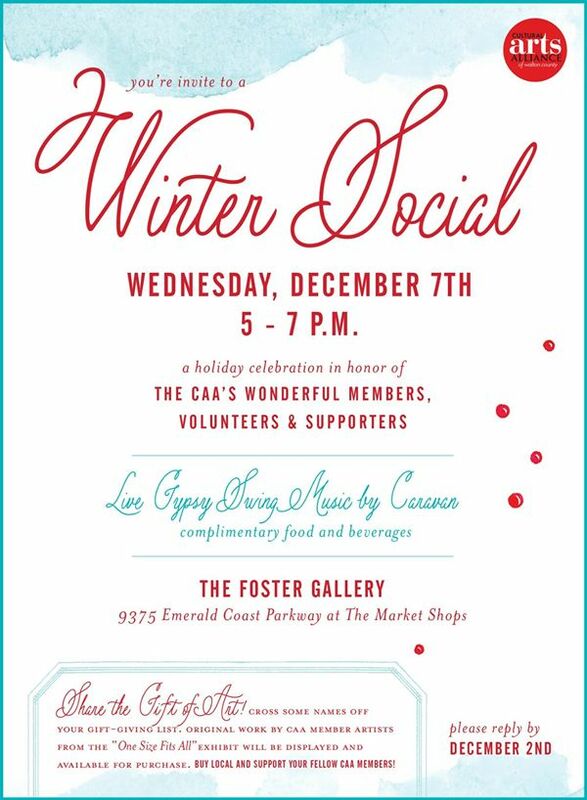 You’re invited to the Cultural Arts Alliance of Walton County‘s Winter Social on Wednesday, December 7, 2016, from 5-7 p.m. at The Foster Gallery. This holiday celebration is being held in honor of the CAA’s members, volunteers and supporters. Come enjoy live gypsy swing music by Caravan, complimentary food and beverages.